KABUL: Chaired by President Mohammad Ashraf Ghani, a meeting was held yesterday to discuss aids to flood-affected families in the country. In the meeting, chief executive Dr. Abdullah Abdullah, state minister for disaster management Najib Agha Faheem, chairwomen of red crescent society Husn Bano Ghazanfer, ministers of defense, agriculture and refugees and head of central statistics authority briefed related to their steps in connection with aids to flood-affected families and shared their suggestions in this regard with the meeting. They said that flash floods caused by heavy rainfalls hit Farah, Kandahar, Zabul and areas in Herat’s Shindand and Adraskan districts where people have suffered financial and human losses, adding that further floods are expected in other provinces of the country. 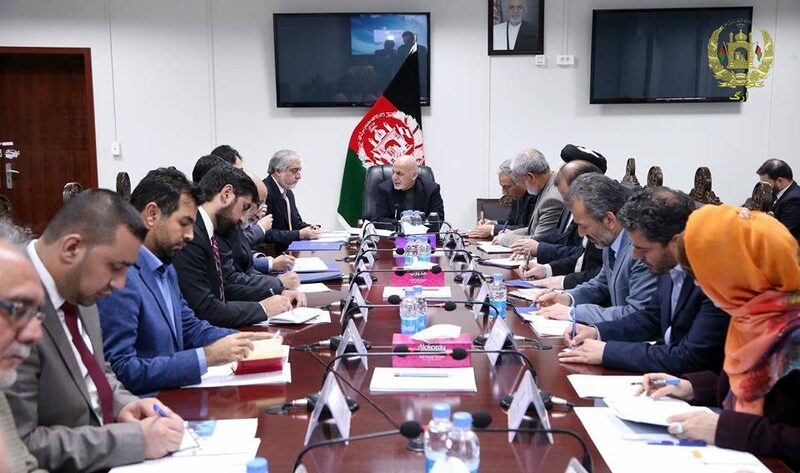 President Mohammad Ashraf Ghani while praising for steps followed in recent days said that ministry of finance should provide urgent financial resources for flood-affected families. The country’s President added that a planning center should be created under direct supervision of state minister for disaster management with close cooperation of relevant civil and military institutions to organize and coordinate aids to flood-affected families. President Ghani also asserted that MoD, MoI and NDS should continue their help in areas where people needed urgent help and aids. Also, the country’s President said that ministry of refugees and repatriates, central statistics authority, and independent directorate of local governance should survey the affected areas so that overall measures were adopted in this regard.